The audience laughs, recognizing first the ordeal of a tedious social function, then the frankness of the statement. Every few years, the media declare a new drug epidemic, a new worst addiction. But after years of investigating the effects of drug use, and reflecting on his own life, the evidence piled up before him: drugs weren’t the issue. About 300 people in Vancouver have come to hear Hart at a presentation organized by the Canadian Drug Policy Coalition. One of the first things he says is that he has used and sold drugs, and even carried a gun. The book also undercuts prevailing ideas about drugs. Looking back on his youth, Hart describes his realization that the many social ills blamed on crack cocaine preceded the drug. His father physically assaulted his mother; his parents split up when he was seven, after which welfare became part of his family life; he grew up in the homes of different relatives; he witnessed gun violence; he and his friends engaged in theft; he watched family and friends struggle, with no opportunities for economic and social advancement. All of this was happening before the appearance of crack, the result of long-standing historical and political structures made worse by law enforcement and the drug war. 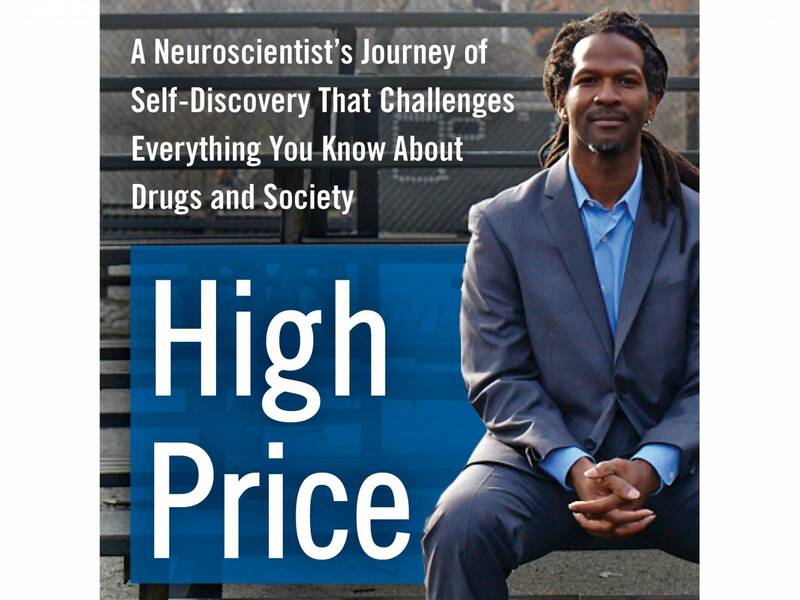 High Price is Hart’s attempt to disrupt the scientific community’s silence, one that remains ominously loud. The harmful effects of drugs have been exaggerated, he emphasizes, laying out his case with cocaine as an example. Though crack cocaine is typically perceived as a more dangerous and addictive drug, it is virtually the same as powder cocaine. The slight chemical difference between them means that powder cocaine can’t be smoked. (Its melting point is too high, so it just burns up.) Removing the hydrochloride lowers the melting point, and that’s how crack is made. But whether cocaine is injected or smoked, it produces the same intense effect. Powder cocaine (left) and crack cocaine (right) are almost identical on a molecular level. The mythology that continues to surround illicit drugs, Hart argues, comes with severe consequences. In the United States, the law creates an artificial distinction between powder and crack cocaine. Despite an amendment in 2010 to reduce the sentencing disparity, jail terms for possession and sales of crack are still significantly longer than for powder cocaine. This is a strike against poor black communities, in which crack is favoured because it’s more affordable. Despite scientific knowledge since at least the early 1990s that powder and crack cocaine are nearly identical, the law “is still inappropriate. It’s still inconsistent with the science,” says Hart. These lessons aren’t part of school curricula or health campaigns. PSAs don’t outline the difference between smoking and eating drugs, or explain that heroin and alcohol don’t mix well. Instead the public is inundated with scary stories based on little fact. Every few years, the media declare a new drug epidemic, a new worst addiction, says Hart. Time magazine obligingly made this point with its latest cover, which he puts up on a screen. This round, painkillers are America’s poison. “Science has been complicit in this nonsense,” says Hart. 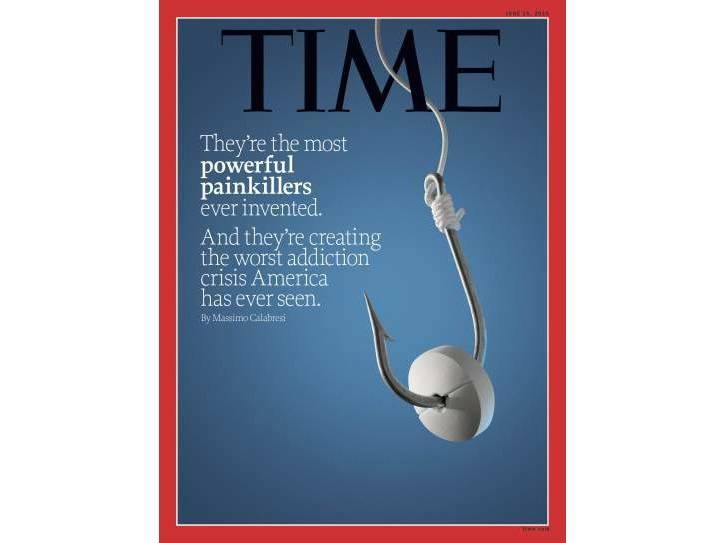 Feature article: "Why America Can’t Kick Its Painkiller Problem." What we as a public might reasonably expect from both journalists and scientists strikes me as quite similar. As a minimum standard, each group should pursue truth, recognizing and mitigating biases to the fullest extent, working with a dedication to ethics and the public good, with an aim of gathering and sharing knowledge broadly. But corporate imperatives dictate news coverage, impacting journalism in explicit and indirect ways. Likewise, following the money in science is revealing. 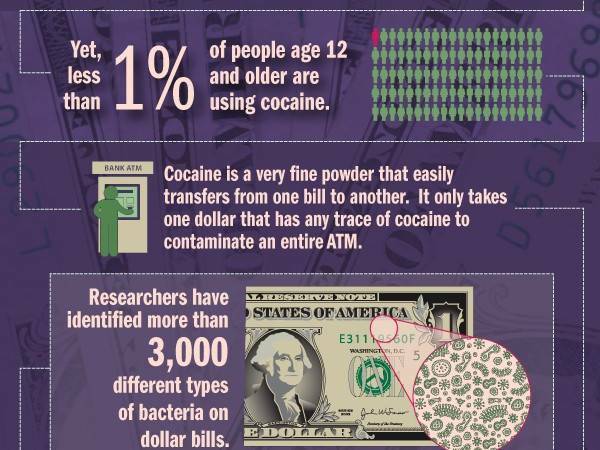 "Q: What do cocaine and bacteria have in common? A: They both contaminate our cash." An infographic for teens from the National Institute on Drug Abuse. Click to expand. Drug researchers are at the mercy of NIDA for money to fund their studies. It’s easy to imagine how this shapes their grant applications, the research they pursue, and the way they interpret and present their findings. People involved in the treatment and public health approach “are just as incompetent and ignorant about drugs." Honesty in science could bring to light not only basic facts about illicit substances, but the racist histories attached to their illegality. About a century ago, Canada and the United States took a prohibitionist approach to particular drugs — those linked to racialized groups, including the Chinese (opium), blacks (cocaine), and Mexicans (marijuana). Prejudice and conceit underlie the vilification of illicit drugs. The scientific data doesn’t support the current thrust of drug education, addiction treatment, and law and policy. It doesn’t support our revulsion for others. The minority of drug users who become addicted don’t need treatment programs focused on pathologizing drug use, says Hart. They need individual assessments to see what’s going on in their lives. They need support to figure themselves out. He lists ways to force change. Learn the science, but study in humanities, to develop the ability to think critically. Make people “play by the rules of evidence,” and hold researchers accountable. Call out racism even if it makes you uncomfortable — “otherwise what kind of adults are we?” Get out of the closet about your own drug use, and confront society’s limited view of what a drug user looks like. Work to change the legal status of drugs. “We need to regulate the market just like we do with other potentially dangerous behaviours, like driving.” Because the effects of drugs can be predicted, the risk is in what they’re being cut with.